THE AFCC UNDERCUTS THE GRIEVANCE PROCESS LEAVING DEFRAUDED LITIGANTS WITHOUT ANY REMEDY OR OPPORTUNITY FOR RELIEF! When I look back at my case, I realize I spent a considerable amount of time on submitting grievances in regard to the ADA. I was denied ADA reasonable modifications for three years even though I had solid documentation indicating that I was eligible. From the beginning, since I was aware of how the Judicial Branch can obstruct a litigant from obtaining their rights, I knew that obtaining modifications would be difficult. In particular, I was concerned about the 3rd prong of the ADA which is the "regarded as" category because it is slightly less straightforward than the other prongs. Thus, In order to collect as much information as I could to support my claims, I contacted the New England ADA Technical Center with my questions. Since my questions were somewhat complicated, I ended up being referred to Attorney Kathy Gips for more details. She was reasonably friendly, but did not answer my questions and tended to be vague and non supportive. Just talking to her was enough to discourage me completely from following through on trying to obtain the protections from discrimination that I required. Fast forward three years and I was talking to Sandra Lugo-Gines the ADA "Project Manager" and I happened to mention my work with Attorney Gips and Sandra made a comment that interested me, that the Connecticut Judicial Branch itself works with Attorney Gips on compliance issues. After I investigated the issue further, I found out that Attorney Gips had been paid for conducting several ADA training sessions over the years. I don't know how much money she earned from the Connecticut Judicial Branch and other agencies in the State of Connecticut doing these training sessions, but I can imagine it was considerable. And if she didn't earn a lot of money, I suspect she established positive relationships with Connecticut Judicial Branch employees and established friendships with them which would have encouraged her to be far more loyal to those employees rather than to the rag tag conglomeration of consumers like me who called to find out how we could protect ourselves from the way the Connecticut Judicial Branch was violating the ADA on a daily, hourly, minute by minute basis. So the bottom line is that Attorney Kathy Gips gave me no support or information at all because she had already sold out to the CT Judicial Branch. The New England ADA Technical Center is based out of Boston, far away from the Connecticut Judicial Branch in Hartford, and yet Attorney Gips had that alliance. Who would ever figure that out? If you didn't know you might think Attorney Gips had an independent opinion, but she did not. When it comes to litigant complaints, the same situation is going on when it comes to the Connecticut Judicial Branch and the AFCC both of whom are trying to protect their interests at the expense of Connecticut Citizens. Until quite recently, or until she was caught, Judge Lynda Munro, an AFCC member, was Chief Administrative Judge of the Family Court. This means that all complaints about judges, attorneys, and the court's administrative programs had to be filtered through her. Furthermore, Judge Munro oversaw the GAL training and certification program. Currently, GAL's receive qualified immunity, but there is no oversight authority and no decertification process. The protocol for filing a complaint about a GAL is that you are supposed to take it up with the presiding family court judge assigned to your case, who is ultimately beholden to, you guessed it, AFCC member Judge Munro. Complaints about attorneys are directed to the Statewide Grievance Committee, which includes AFCC member Attorney Sue Cousineau. Complaints about violations of the Americans With Disabilities Act are directed to AFCC member Phyllis Cummings Texiera. Also, until recently, complaints about the Court's administrative services, federal funded grant projects were directed to AFCC supporter Judge Barbara Quinn. At this point I believe Judge Quinn has left her position, as Judge Munro did. However, there is no reason to believe that another person similarly connected or similarly obligated to AFCC will not be appointed in her place. Complaints about judges are directed to the Judicial Review Council whose members include AFCC member Attorney Barbara Aaron. The AFCC has essentially reached its tentacles into all aspects of the grievance process to the extent that litigants have no recourse in circumstances where they face injustice and wrongdoing. This is why litigants can report that there has been outright wrongdoing in their cases and yet the systems in place to address their complaints simply disregard those complaints and make light of the most outrageous behavior on the part of judges, attorneys, and GALs. For instance, you have an attorney firm such as O'Connell, Flaherty, and Attmore, LLC, now renamed O'Connell, Attmore, and Morris, LLC, which has defrauded its own clients on a massive scale, has sued up to 69 of its clients in wrongful collections cases, has settled prior malpractice suits, and is currently even now being sued in malpractice cases in Civil Court simply evading and avoiding all accountability to the Statewide Grievance Committee despite overwhelming evidence of improper dealings. One of their attorneys was even caught by the FBI and is currently in jail, and yet Statewide refuses to take complaints about this firm seriously. How else can you account for this outrageous, irresponsible hands off type attitude if not by attributing it the whole influence peddling schemes of the AFCC which are right out there in front of peoples noses. And now we have the ultimate outrage where two legislators--Rep. Brandan Sharkey and Sen. Donald Williams--have appointed two AFCC members to co-chair the task force established to investigate the AFCC's wrongdoing and its criminal infiltration of the Connecticut Judicial Branch: Attorney Sharon Wicks Dornfeld and Attorney Sue Cousineau. So we have two foxes looking into how well the foxes have been illegally raiding the hen house. You can imagine how this will end! So far, from what I see of their actions, it looks like Attorney Dornfeld and Attorney Cousineau are there to undercut the goals of the task force by deflecting and suppressing any information which might expose the AFCC to scrutiny. The attorneys, judges and GALs who are part of this scheme, and the legislators who support them have no shame. They believe that they are invulnerable and they will never be held accountable. So they stick Dornfeld and Cousineau right in our faces and don't care what the consequences are in terms of the loss of credibility and the loss of citizens' faith in the legitimacy of this task force. This is why citizens in the State of Connecticut, people who have experienced abuse from AFCC members within the CT Judicial Branch and its circle of influence must continue to keep the pressure on and hold the Judicial Branch and our Legislators accountable for rooting out the AFCC corruption in our legal system. We cannot continue to allow the CT Judicial Branch to abuse emotionally and financially extort vulnerable parents and their innocent children. STATEWIDE GRIEVANCE DOES IT AGAIN: MORE PROTECTION FOR BAD ATTORNEYS! 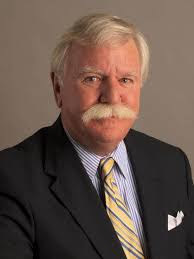 I was just browsing through the internet when I stumbled across a Notice in the April 5, 2011 Connecticut Law Journal placed by Attorney Michael P. Bowler, the Statewide Bar Counsel. Apparently there is a new Rule 11A Motion to Dismiss By Disciplinary Counsel which is on the verge of being implemented. 2. The Respondent is exposed to discipline for the same conduct under Practice Book Sec. 2-39, 2-40, or 2-41. Any motion granated under this subsection will be without prejudice to the Disciplinary Counsel filing a new grievance complaint or presentment pursuant to practice Book Sec. 2-39, 2-40 or 2-41." Ok, I get number two, you wouldn't want duplication of punishment...oh, but then again, maybe I actually do! But number one--excuse me! "B. the motion to dismiss under this rule may only be filed by the Disciplinary Counsel. An original and three copies of the motion (an original and three copies--wow, I'll make a note of that!) shall be filed with the committee prior to or during the proceeding before a reviewing committee and a copy shall be forwarded by the Disciplinary Counsel to the complainant, the respondent and their counsel. The motion shall clearly explain the reasons for the requested dismissal. "D. Following the hearing, the reviewing committee shall issue a written decision either granting or denying the motion. 1. If the Motion is granted, notice shall be sent to the Disciplinary Counsel, the participants and their counsel and the matter shall be dismissed. 2. If the motion is denied, Disciplinary Counsel, the participants and their counsel shall be notified and the matter shall be scheduled for a hearing before a different reviewing committee. What this change in the procedure does is essentially water down a procedure that was already watered down so much that it is even more impossible to hold any lawyer accountable for his or her actions than it was before, and it is even now more impossible to hold a lawyer accountable at Statewide than it would be if you brought your complaint before the civil court. That is ridiculous! This new rule adds an additional step to bringing a complaint before the review committee so that it can be dismissed quickly before anyone has the opportunity to take note of it. It adds more opportunities for the Statewide Grievance Committee and its panels to kick up dust, wear out complainants, and deflect scutiny from their proceedings. I am further interested in how this change in the rules took place. How come I never heard of this proposed change in the rules before, and now I find out about it long after it has been voted in place and there is nothing I can do about it? I mean, seriously, what about Connecticut General Statute 51-14 which requires that there be a public hearing in regard to all rule changes in the Connecticut Practice Book. Did anyone know about any hearing in regard to this rule at any time whatsoever? Well, ready or not, this rule is now in place and will be effective on April 12, 2012. Gotta love that Connecticut Style Democracy. Why bother to check with your citizens who are going to be affected by this new rule. Guess the rules committee figured that the hearing requirement was too petty and annoying to obey. We know what to do if a lawyer violates his or her professional ethics, but what do you do if a judge violates his professional ethics? I'll tell you what you do--you contact the Connecticut Judicial Review Council online at www.ct.gov/jrc, visit them at 505 Hudson Street, Hartford, CT 06106, call them at 860-566-5424 and toll free at 866-222-6075, or email them at jrs@po.state.ct.us. The mission of the Connecticut Judicial Review Council is as follows: "To investigate and resolve complaints alleging misconduct, disability, or substance abuse of state judges, family support magistrates, and workers' compensation commissioners in order to promote public confidence in the courts and the integrity and independence of the judiciary by ensuring high standards of judicial conduct on and off the bench." I submitted a complaint recently in regard to a judge who oversaw my case in family court. Now, don't ask me what the results were, because the case isn't over yet. But to sober you up, I'll share with you some of the statistics which I garnered from the last ten years of annual reports which are listed on the website. These reports appear to indicate that there are very few consequences to judicial misconduct in the State of Connecticut. Or, depending on how you see it, we have some really outstanding behaving judges in this state! Every year there are a little over 100 cases where the judicial review council receives complaints about the professional behavior of judges in the State of Connecticut. On the average, out of these many complaints the vast majority are dismissed with the exception of maybe one or two. The annual reports do not say much about the nature of these cases and why they are dismissed but around ten to fifteen of the dismissed cases consist of complaints that alleged improper conduct that occurred outside the statute of limitation as provided by law which is one year. The one year limitation is unfortunate because it seems to me that the wrongdoing of judges, as with fraud perpetrated against the IRS, should not be limited by any particular timeframe. Also, one year is a short timeframe given that so many litigants are so traumatized by the experience of judicial abuse that if sometimes takes years to formulate a coherent response. It is also important to note that out of the 100 or so complaints per year, at least half of these complaints are submitted by self-represented parties. In its guidelines, the council warns you that they can't do much about a decision or a ruling that you do not particularly like. Judges are allowed a great deal of disgression on the trial level and if you don't like their use of disgression, then take it up with appeals court. Also, the council is not able to affect the way a case is handled and they cannot remove a judge from a case. If you don't like the way a case is being handled, preserve your objections for appeal. If you want a judge to step down from a case, you can file a motion to recuse. But just don't waste your time bothering the judicial council with such things, because it can't do much about it, simply put. The council concerns itself with violations of the judicial code of conduct which is located online at the judicial review council's website. This version includes substantial additional commentary and adds up to around 64 pages. The baseline code, including far fewer pages, is located in the 2011 Practice book right after the attorney's code of professional conduct. Canon 4: A judge shall not engage in political or campaign activity that is inconsistent with the independence, integrity, or impartiality of the judiciary. In regard to court behavior, a judge is expected to be patient, courteous, and unbiased towards the litigants that appear in his or her courtroom, and a judge should allow each litigant the opportunity to be heard. If you think this did not happen with you in your case, then you have the option of submitting a complaint with the judicial review board. The website listed above for the judicial review council includes a complaint form, FAQs, as well as an explanation of the process. Its probably a good idea to send your complaint to the judicial review council by certified mail just in case they try to deny they received it. And I've kept an extra copy of the complaint I filed for myself so I have a copy in case they lose it. I'll let you know what happens. GRIEVANCE PROCEDURES IN CONNECTICUT GEARED TO PROTECT CROOKED LAWYERS! As I said I would in my previous post regarding grievance procedures, I am going to report back to you regarding my experiences filing a grievance. So here goes! As you know, I am very meticulous about submitting any papers to the court and I was similarly meticulous when I submitted my complaint to the Statewide Grievance Committee. I had very solid evidence regarding my complaints all of which showed that the attorney I had complained about had, indeed, violated the attorney's Professional Code of Ethics. Nonetheless, my grievance complaint was rejected out of hand despite overwhelming evidence that the attorney was guilty. So much for the legal profession being self regulating! After I recovered from the shock and disappointment, my next question was how could this possibly happen? As I read and reread the response I have received from the Statewide Grievance Committee, some of the answers to this question became more and more clear. The reason why so many legitimate complaints regarding unethical lawyers end up being ignored is that the grievance procedures in Connecticut are geared to protect crooked lawyers. This is how it works. The first step in the Grievance Procedure is that you submit your complaint to the Statewide Grievance Committee. If your complaint isn't immediately dismissed because it is so obviously ridiculous the Committee won't even consider it for a minute, the complaint is sent to a Grievance Panel for a determination of whether there is probable cause to proceed further with this complaint. According to page 4 of the manual on grievance procedures made available by the Statewide Grievance Committee, this Grievance Panel "is composed of one person who is not an attorney and two attorneys whose law offices are in judicial districts outside that in which the panel serves." What the brochure doesn't tell you, and I must say I'm always amused by what brochures of this kind fail to tell you, is that the 2011 Connecticut Practice Book, Section 2-29(a) states that the non attorney member of the grievance panel must reside in the judicial district where the attorney being complained about practices law." So why didn't the Statewide Grievance Committee add that little point in their brochure? I guess they want to convey the idea to consumers like you and me that they are making an attempt at neutrality. Riiigghhhtt! It's this major, major point they just omit telling you! Another factor that plays an important role in preventing consumers from obtaining a fair hearing of their grievances arises from the role of the Counsel to the Grievance Panel. What the brochure tells you on page 5 is that "The grievance panel will investigate the case." Well, no, actually, primarily it is the Counsel to the Grievance Panel who will investigate the case. See the 2011 Connecticut Practice Book Section 2-31 (2) which states that one of the duties of the Counsel to the Grievance Panel is "To investigate all complaints received by the grievance panel from the statewide bar counsel involving alleged misconduct of an attorney." And guess what, folks, this Counsel does not have to practice outside of the judicial district where the Grievance Panel is serving. This means that the guise of neutrality, the implication of fairness, the concept that your complaint is being handled outside of the sphere of influence of the lawyer you are complaining about (the respondant) is specious because at least one forth or even a half of the people related to that Grievance Panel are actually within the judicial district of the respondant. Now the Statewide Grievance Committee will say, that isn't true because the Counsel to the Grievance Panel isn't a member of the panel and is unable to vote. However, what I am complaining about is that the counsel provides all the results of the investigation regarding the complaint to the panel and can, therefore, spin these results any way he or she pleases. That is providing an unconscionable amount of power to a single non voting member of the panel. Finally, the policy of the Statewide Grievance Committee is that the decision of the Grievance Panel regarding your complaint is final and cannot be appealed, neither can you request that a higher authority review the decision. That is amazing! Even the legal system doesn't give so much authority to the lowest level of the court system. Imagine what would happen in our courts if all decisions were final and no decisions could be appealed or submitted for review! Imagine the outcry that would result! To be honest, as an advocate, I have reviewed several grievance procedures in a number of organizations and I've never heard of any grievance procedure without a policy that allows for an appeal or additional review. Consider how research studies in the medical field are all subject to peer review. Apparently, lawyers are so confident of their abilities, they don't think it is necessary to undergo a similar process. I wish I had such an extraordinary amount of ego strength in my own life! Finally, here is the ultimate blow to fairness and equity for consumers in the grievance procedures established by the State of Connecticut. Apparently, there is only one situation in which the decision of a Grievance Panel is not final, and that is a situation in which the complainant alleges that a crime occurred. Thus, the 2011 Connecticut Practice Book Sec. 2-32(i)(2) specifies that, if no probable cause is found, a grievance panal shall either dismiss the complaint in a decision that is final, or, if a crime is alleged, file its decision with the Statewide Grievance Committee so that the decision can be reviewed. However, the determination of whether the complainant alleges that a crime occurred is left entirely in the hands of the Grievance Panel. And, according to the Statewide Grievance Committee Rule of Procedure No. 6 (D) "Under no circumstances shall the [Statewide Grievance] Committee review the grievance panel's decision that a crime was not alleged in the complaint." My complaint alleged that my attorney had stolen money from me, an act which I understand to be a crime. Yet the Grievance Panel in my case determined that I had not alleged that there was a crime. The last time I looked stealing was and is a crime. Nonetheless, the Grievance Panel has the absolute power and authority to deny that is so and nothing can be done about it. Under these circumstances, the question we as consumers are left with is "What do you do if a Grievance Panel goes rogue?" "Why didn't the Connecticut Statewide Grievance Committee take steps to protect consumers from rogue Grievance panels?" Perhaps the answer is that the Connecticut Statewide Grievance Committee itself has gone rogue! Citizens beware! CAN YOU BELIEVE IT! THE ATTORNEY'S OATH! You solemnly swear or solemnly and sincerely affirm, as the case may be, that you will do nothing dishonest, and will not knowingly allow anything dishonest to be done in court, and that you will inform the court of any dishonesty of which you have knowledge, that you will not knowingly maintain or assist in maintaining any cause of action that is false or unlawful, that you will not obstruct any cause of action for personal gain or malice; but that you will exercise the office of attorney, in any court in which you may practice, according to the best of your learning and judgment, faithfully, to both your client and the court; so help you God or upon penalty of perjury. DEFRAUDED? DEFAMED? HOW TO STRIKE BACK! I know a lot of you have endured injustice in the hands of your own attorneys and also by judges. Afterwards, many of you say, "I'm going to file a grievance." but then never follow through. Of course, there are those who do follow through. I wish I knew more about whether there is any success in filing grievances and if anyone out there has a story, I'd love to hear it! There are guidelines to how an attorney is supposed to practice ethically. The guidelines are in the 2010 practice book right in chapter 1 under the heading "Rules of Professional Conduct". If you find that your lawyer has violated these rules, and you are not able to work out the problem with him or her, you are then encouraged to submit a grievance to the Statewide Grievance Committee. Information about how to go about doing so is available on the Connecticut Judicial Website at the following URL: http://www.jud.ct.gov/SGC/. There is also a judicial code of conduct by which judges are required to regulate their behavior. This is found in the 2010 practice book immediately after the Rules of Professional Conduct for lawyers in a chapter called "Code of Judicial Conduct." This code encompasses Canons one through seven by which a judge should regulate his own conduct. If you believe a judge has violated the guidelines in these Canons, send your complaint in writing to the Judicial Review Council. The Judicial Review Council is charged by statute to investigate allegations against a judge. Of course, I'm not sure how effective these complaints are. I've already had a judge say to me, go ahead and complain. I don't care! After all, these people are spin doctors, so they are experts on evading and avoiding any accountability. Still, I think it is worth a try, at least for the sake of closure. Meanwhile, I have just initiated a complaint against an attorney. Once I have gone through the process and have something to say about it, I'll let you know. If you have already gone through the process and have anything to share, I'd love to hear from you!